The Securities and Exchange Commission has frozen the assets of Daniel B. Rudden and his company, Financial Visions, of the Denver, Colorado area, following criminal charges brought against Rudden earlier this month alleging that he used his business to operate a massive Ponzi scheme. According to the Colorado U.S. Attorney’s office press release, a California resident contacted the FBI earlier this month to complain that Rudden defrauded her of approximately $300,000. Rudden allegedly told the victim that her money would be used to make loans to help people pay for funeral expenses until insurance payments were received or other payment arrangements could be made. Rudden’s scheme allegedly promised investors annual returns of 12% or more. Instead, authorities allege that Rudden ran his business as a Ponzi scheme which bilked approximately 150 investors from Colorado and other states out of about $55 million. Today, the SEC announced a freeze of the assets of Rudden and Financial Visions and brought civil charges against the group related to the $55 million Ponzi scheme. 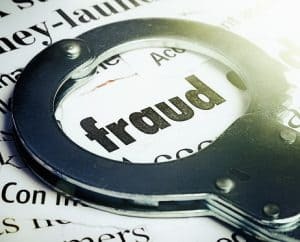 The SEC further alleges that Rudden misled investors to believe that his business was successful and concealed Financial Visions’ true financial performance and condition, all while knowing he was running a Ponzi scheme. According to the SEC, Rudden (in classic Ponzi scheme fashion) had been using new investor funds to pay interest and redemptions to existing investors since 2010 or 2011. If you or someone you know has lost money as a result of an investment with Daniel B. Rudden or Financial Visions, please call the Frankowski Firm at 888.741.7503 or fill out this contact form.